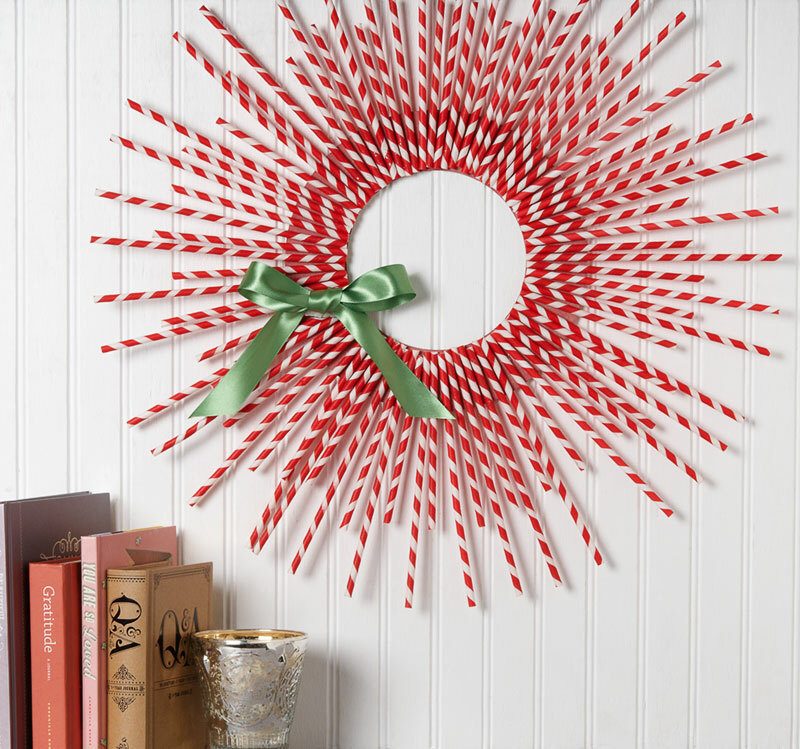 When Women’s Day featured a similar paper straw wreath last year, we immediately fell in love with the 1950’s starburst shape that could be created from our paper straws. We were further impressed by how easy to put together and lightweight this technique could be (I don’t know about you, but I’ve definitely ruined some nails with heavy wreaths)! It’s the perfect holiday project to kick off the crafting season! Simply print our How To PDF, gather a few simple materials, put on some hot chocolate and get craftin’! Cut 50 Straws down to 6 1/2″, leaving the rest of the straws at their full length. Apply a dab of hot glue near the center of the wreath form. 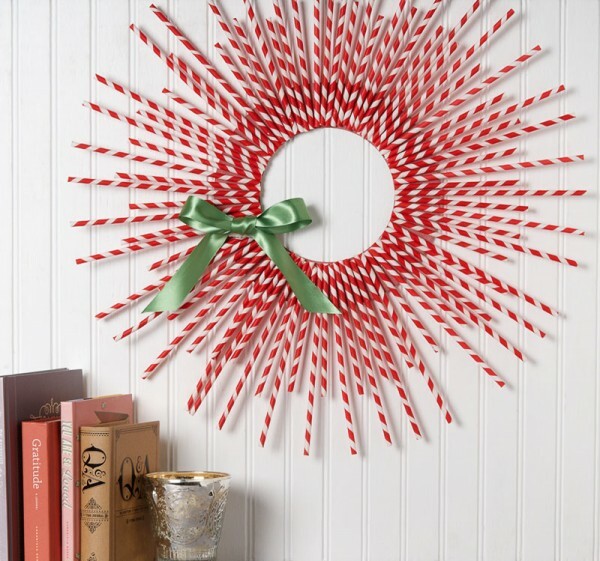 Adhere a full length straw so that the end is flush with the center edge of the wreath form, creating a clean wreath “hole”, then continue gluing and affixing straws, alternating short straws with long ones until the wreath form is completely covered. Remove any hot glue threads from the wreath. Tie a bow using the Clover ribbon and glue in place. To hang, glue a small loop of matching ribbon to the back of the wreath form. We’re going to put ours on a door, but what about you? Window? Stair-railing? Above the fireplace? Stay tuned, we’ve got a whole stash of holiday projects for you! woowoo! coming to columbus anytime soon? How many straws in your box. I saw some at the BX but not 50 in them I don’t believe and I had no idea how many I needed to use for a straw wreath. I want to give one to my husband’s cousin that host’s 4th of July and I always take a hostess gift. 75? Looks like about 82 in the one in the picture above. I made one with the larger cardboard form from Paper source and used 108 straws. Hope this helps!